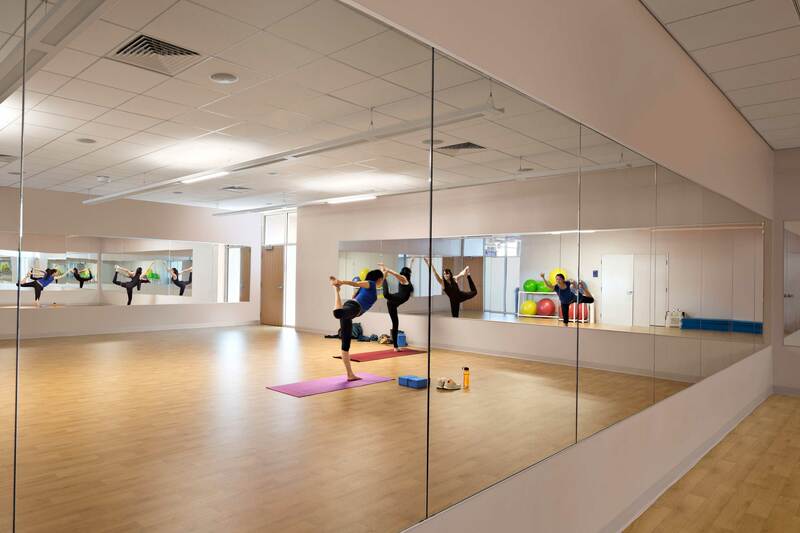 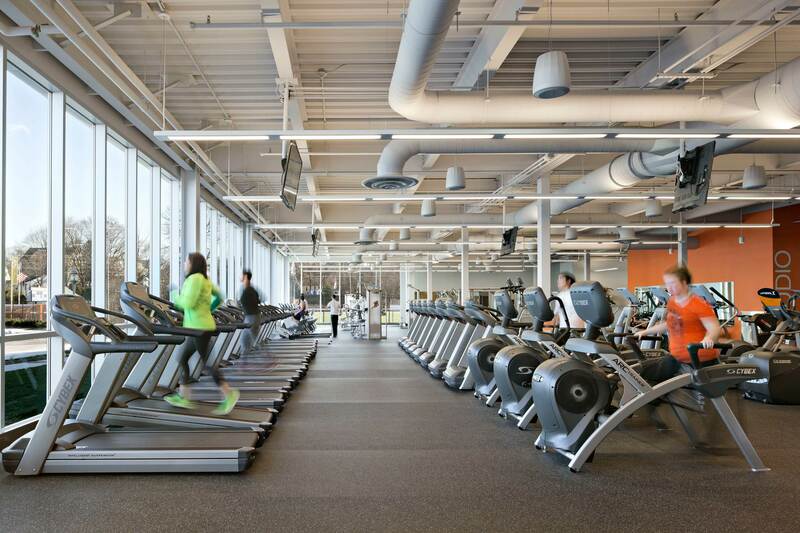 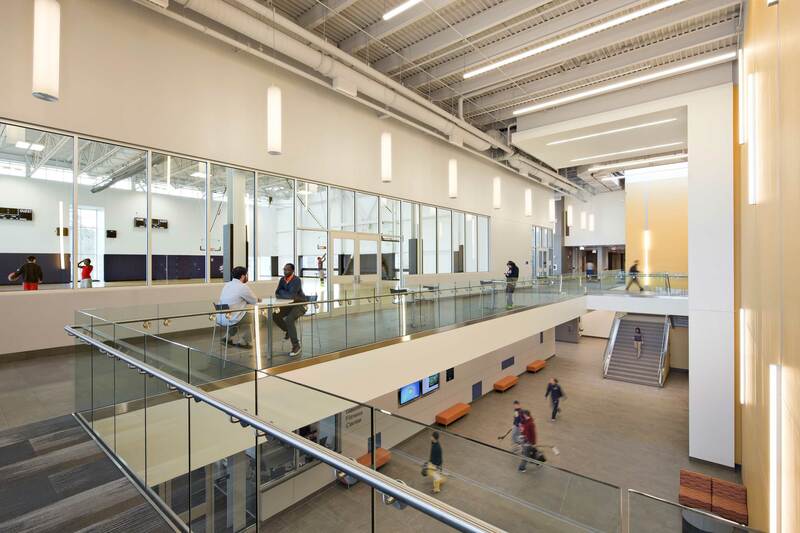 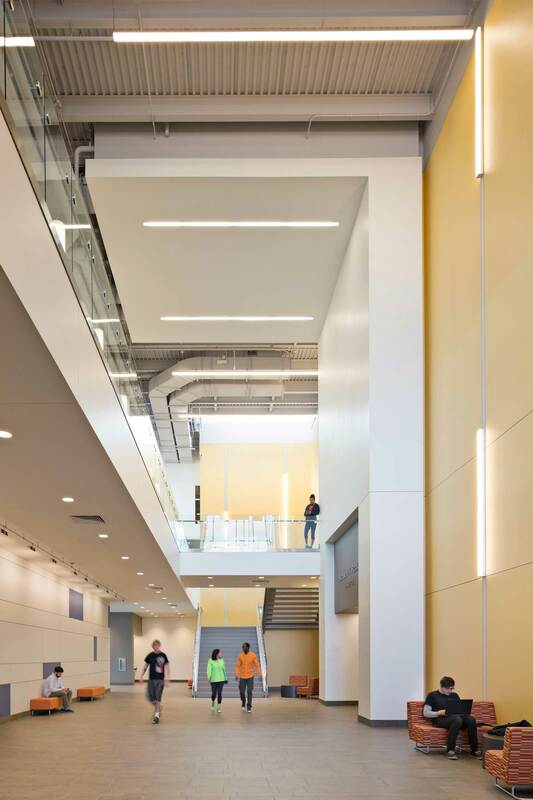 The new Gassett Fitness Center provides a host of informal and formal recreation, fitness and wellness programming to more than 27,000 students per week. 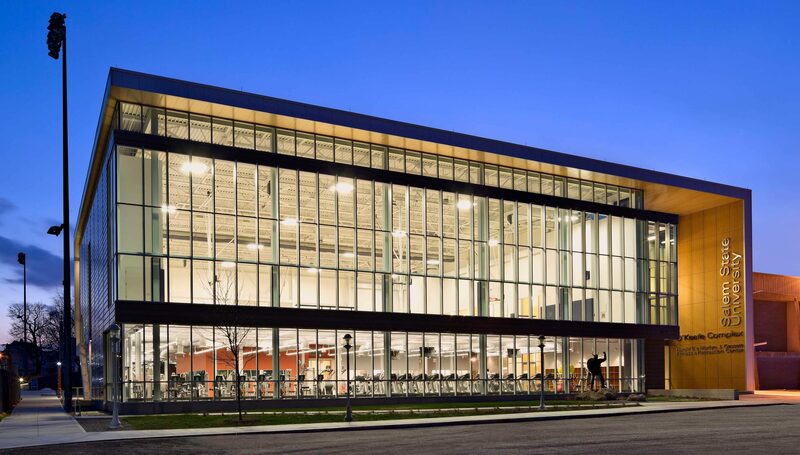 The goal of the center is to positively impact the student body through focusing on fitness and wellness on campus. 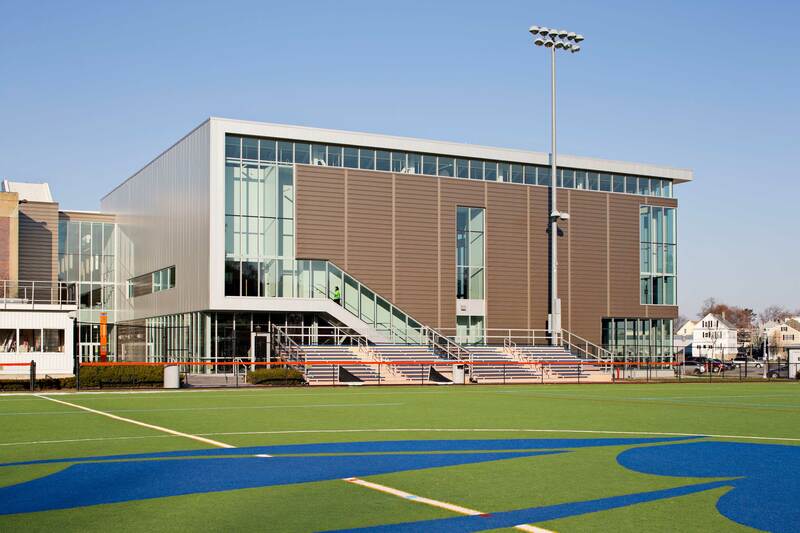 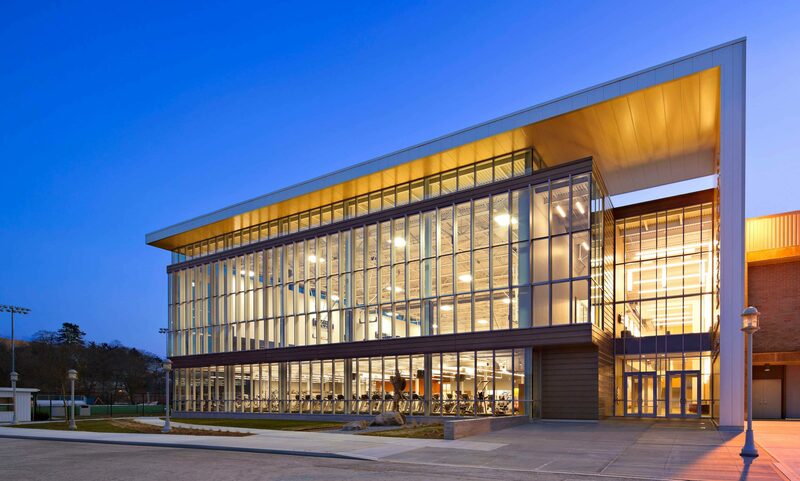 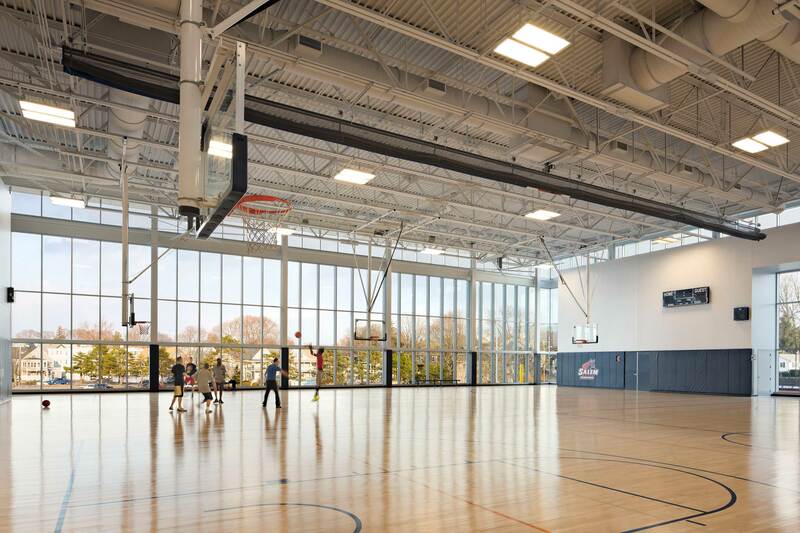 Conceived as a glass box within a solid outer shell, the center includes major program elements such as a 7,800 SF fitness center with associated support spaces and locker rooms on the ground floor, a two-court intramural gym of 13,600 SF on the second floor, and a new entrance lobby atrium space for the entire athletic complex.